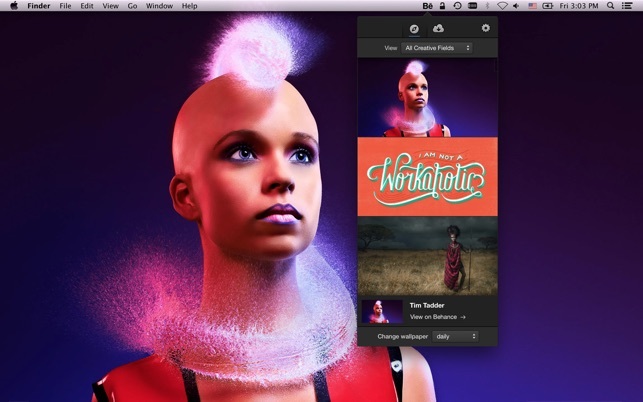 Wallpaper by Behance helps you discover the world's creative work through your Mac desktop. 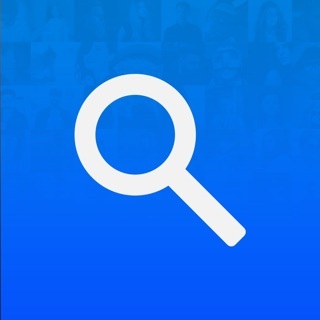 We'd love to hear your feedback on this new app. Please, email us at wipmac@behancenetwork.zendesk.com with any issues. 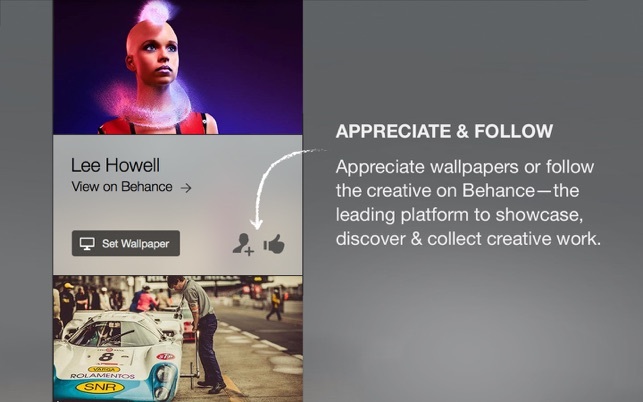 Behance is the leading online platform to showcase, discover & collect creative work and is part of the Adobe Family. 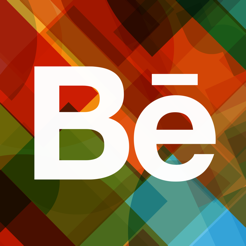 Designers, photographers, illustrators, and other Creatives use Behance to display their portfolio, get exposure for their work, and connect with their peers and potential clients. 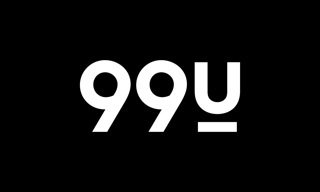 Leading creative companies find talent on Behance, and millions of visitors use Behance to track the latest and greatest creative talent. I love the concept of the app and its amazing content. 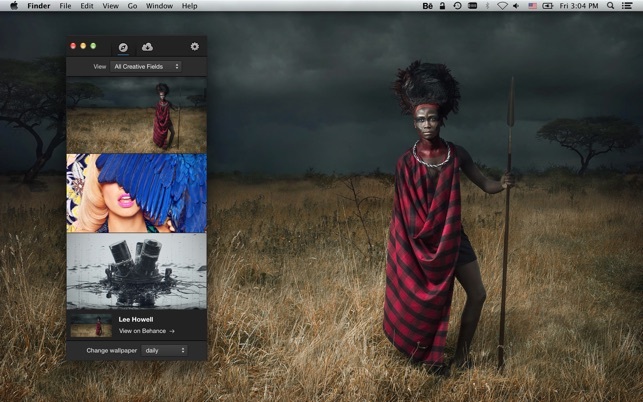 It’s awesome and I’m looking to use this app permanently on my Mac. But I did find an annoying bug when pressing the 'Mission Control' button. When pressed, the rest of the running apps disappear. Please look into this bug as this is becoming one of my favorite apps. The app is awesome but as others have pointed out, its very limited as the # of designers and wallpapers are very limited. You kind of see the same work again and again. 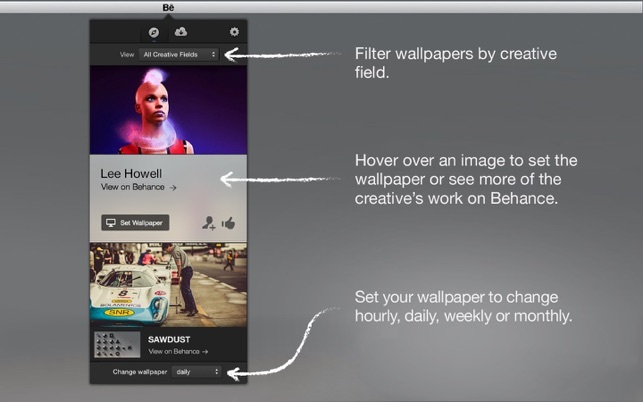 There are better tools in the market that provide access to more of the creative work than this app currently offers. Much like what the title says, the app consists of amazing artwork from various artists. But I don't think Behance will ever update this app. First, it is buggy, icons jumping around and sometimes highlights them when you choose a different menu. Second, the system is updated and Behance just added artworks made by artist by the time this app was published. 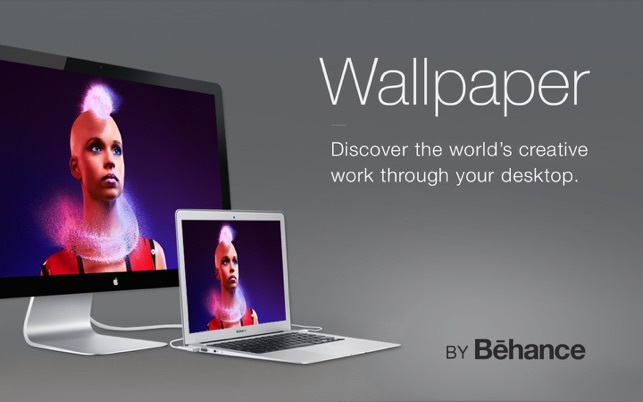 No new wallpapers, not even the ones featured at their site.